In 2007, Josh graduated from Sutherland-Chan School and Teaching Clinic – an innovator in massage therapy education in North America. He has been with the Centre for Fitness Health and Performance since 2007. 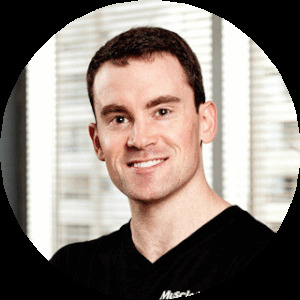 Josh has worked with people from all walks of life and has the experience and subject matter expertise to help you meet your goals – whether you require deep tissue work or a lighter approach. While Josh is well-equipped to deal with multiple client scenarios, he specializes in sport injuries and works extensively with athletes. As an athlete himself, he firmly believes that massage therapy will help the healing process of sprains and strains move along much faster and help you get back to being your active self. Like all our RMTs, Josh works closely with the doctors to ensure an effective treatment plan is implemented to maximize results for his patients.